Toilets installed in basements or anywhere below pipe grade have to be able to push water and waste to the main sewer pipe. This type of toilet is known as an upflush toilet. In this type of system, the flushed material is directed to a small holding tank behind the toilet first. There, it begins to break down so it can be more easily pushed upward to the main sewer line. Once in the main line, it is flushed out of the house to a septic tank or city sewer system. Upflush toilets are for areas below the main sewer pipe in the house. Measure from the sewer connection to the area where you want to install the toilet. Keep in mind that you do need an electrical supply for the toilet, as well. When measuring and determining the layout for the discharge hose try to keep vertical runs to a minimum. This helps prevent clogs in the discharge line. Set the toilet in place. Check for level, as the toilet needs to be as level as possible for proper operation. Attach the water supply to the toilet. Use Teflon tape at the water connection to help prevent leaks. Tighten with a wrench, being careful not to over-tighten and damage the threads. There should be an electrical cord attached to the toilet unit. Plug this in as well. Attach the discharge hose. Use the included hose clamps to attach one end to the toilet and the other to the sewer line. Many upflush toilets have back-flow valves built in, eliminating the need to install a separate valve. Turn the water supply on and test the unit. Check for leaks both at the discharge line connections, along the line and at the water supply. Some upflush toilets are capable of handling wast from attached sink and shower lines, as well. 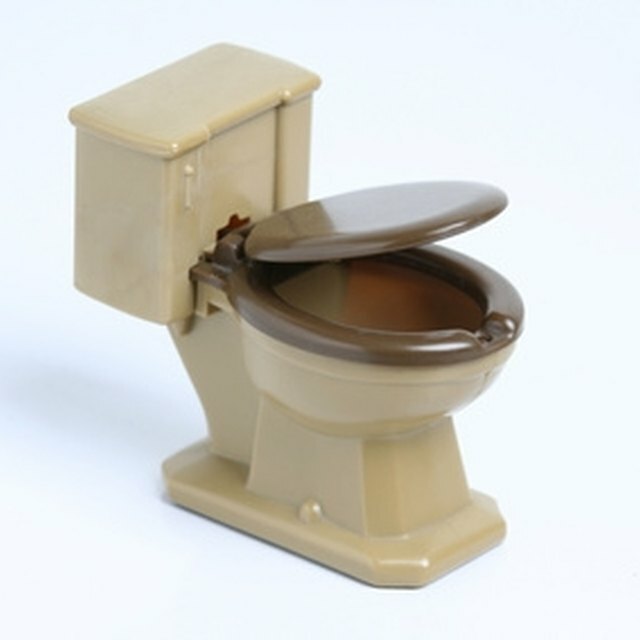 How Is a Ceramic Toilet Made?